To provide top-quality products and perfect service for customer worldwide through standardization, technological innovation and continuous improvement . Produce green products through technological innovation, conformance with environmental regulations, prevent pollution, conserve resource and dedicate ourselves to continual improvement of environment. Compliance with statutory and regulatory requirements, establishment of healthy and safe working environment, training and publicity on health and safety, and continuous improvement of health and safety management, prevention of injury and diseases. 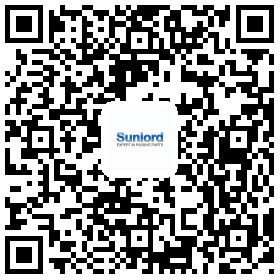 To protect the only living environment for human, the earth, we declare that the products manufactured by Sunlord comply with the requirements of SONY SS-00259, EU RoHS and related customers. People-oriented, staff & customer & business partner oriented, observe applicable laws and regulations, protect the environment, shoulder the social responsibilities and continuously improve it. We are to adhere to the highest ethical requirements, and are committed to: run business honestly, prohibit corruption, extortion and embezzlement; prohibit offer or acceptance of bribes; disclose information regarding business activities, structure, financial situation and performance; respect and protect intellectual property rights; observe principle of fair business, advertising and competition; protect whistleblower confidentiality; actively involve in community. Sunlord shall bear its social responsibility, respect the human rights, pay close attention to conflict minerals issues continuously, and make efforts to investigate its supply chain with diligence to assure the metals sources of, including but not limited to, tin (Sn), tantalum (Ta), tungsten (W), gold (Au) are not come from the mines of the Democratic Republic of Congo and its neighboring countries controlled by armed groups. 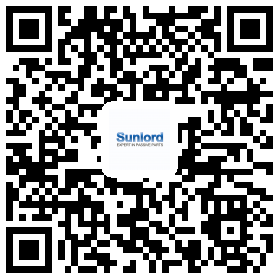 Sunlord hereby expects its suppliers to comply with the Electronic Industry Code of Conduct and only purchase materials from environmentally and socially responsible suppliers. Comply with information security requirements (from customer and laws and regulations), continually improve ISMS, implement comprehensive security management of software, hardware, electronic, and paper documents, and is committed to protect the information security of internal, customer, government and relevant parties.